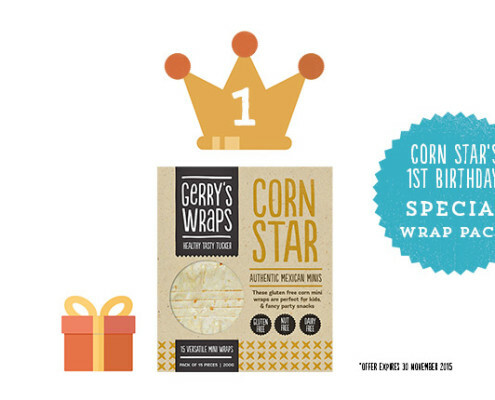 Gluten free meals are quick and easy with Gerry's Wraps corn tortillas, and make a gluten-free meal out of just about anything. Perfect for Coeliacs and gluten intolerants, our wraps make eating gluten free easy, affordable and quick. 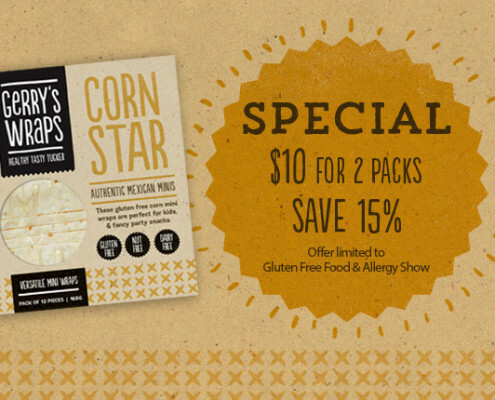 Special on Gerry's Wraps Gluten-Free Corn Star at this weekend's Gluten Allergy Show in Christchurch - 2 for $10! 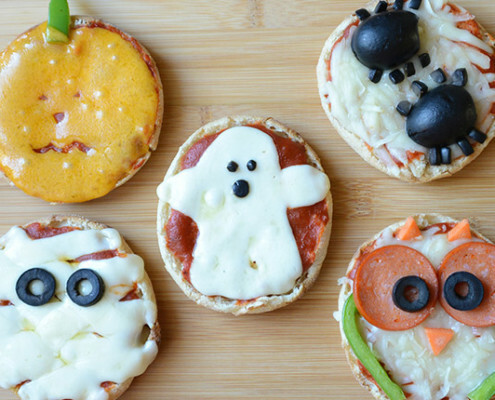 Gerry's Wraps are perfect for making these quick and easy Halloween treats. 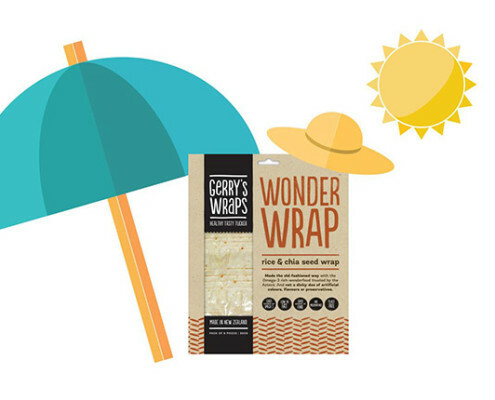 Gerry's Wonder Wrap is retiring after a distinguished career on shop shelves as Gerry's Wraps first healthy bread alternative. 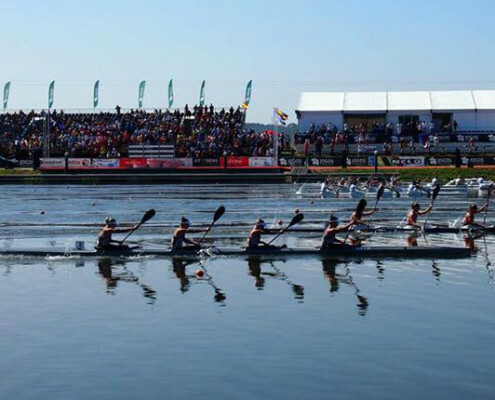 Gerry's Wraps Employee Danielle Currie and her Kiwi U23 K4 team placed ninth fastest at the 2015 World Champs in Portugal. 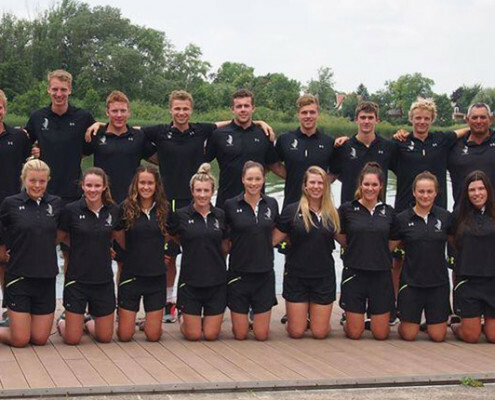 The Junior World Champs begins in Portugal next weekend, where Canterbury kayaker Danielle Currie (and Gerry's Wraps' employee) will take part, following weeks of training in Hungary. 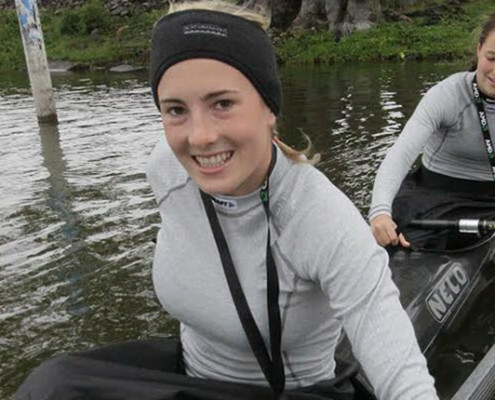 Rain, sleet and snow haven't kept Kayaker Danielle Currie from training every day, and nothing is going stop her getting to this year's World Champs. They make 'em tough down South including Danielle Currie, who is training for this year's Canoe Sprint World Champs, and who needs your help getting there.